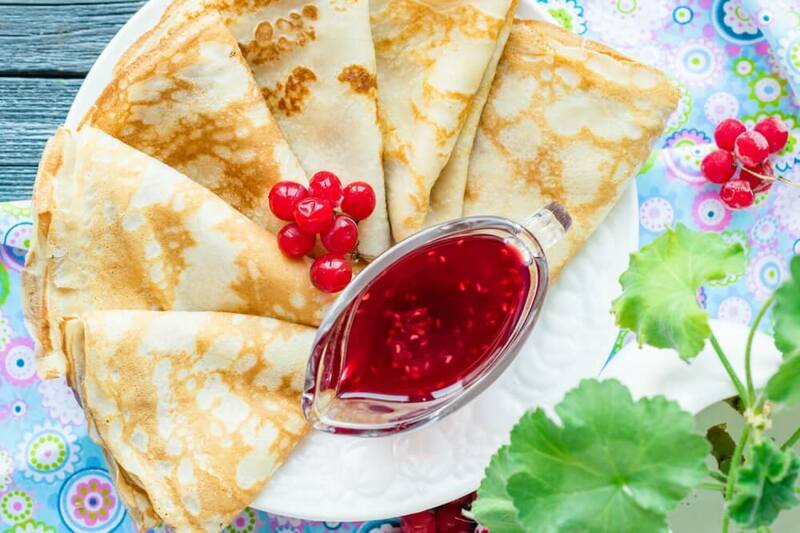 Today we will make unusual sweet pancakes on fruit yogurt. 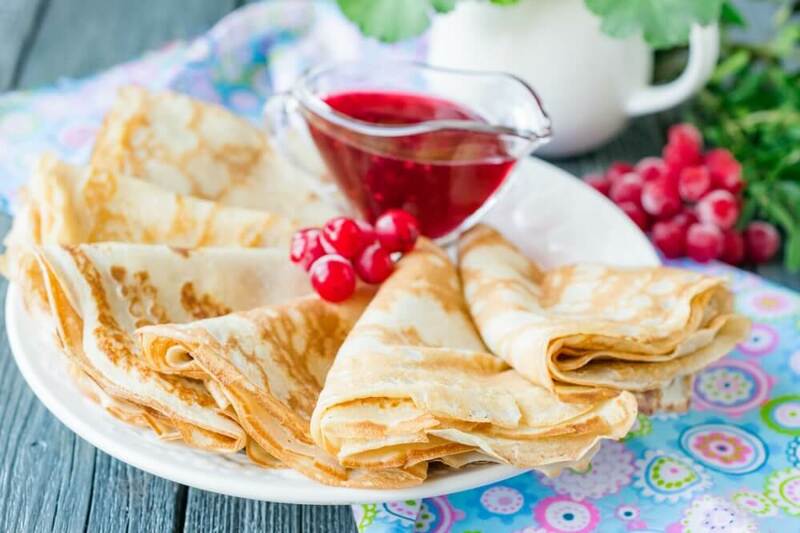 They are very thin, elastic and very tasty that is why pancakes will be perfectly suitable for a Sunday breakfast of all family. 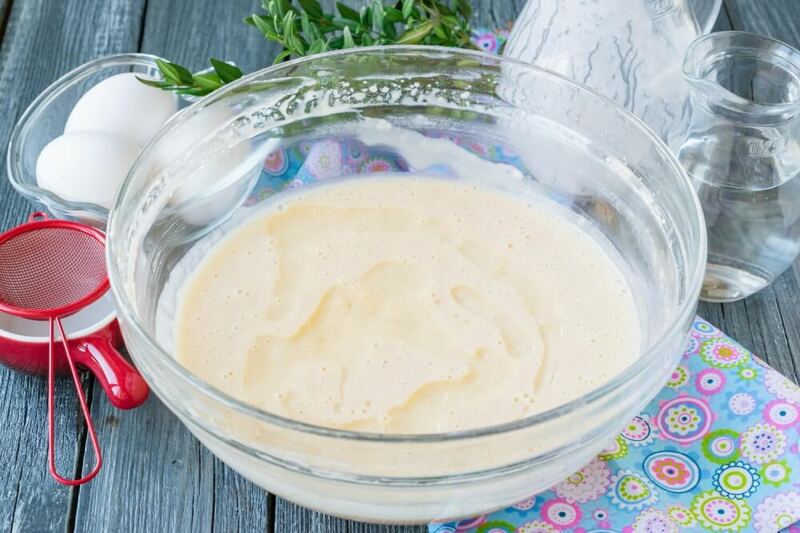 Any yogurt from the approved producer will be suitable for this recipe. To natural yogurt with neutral taste it is possible to add fruit or berry puree. For preparation of pancakes I used drinking strawberry yogurt of low fat content. 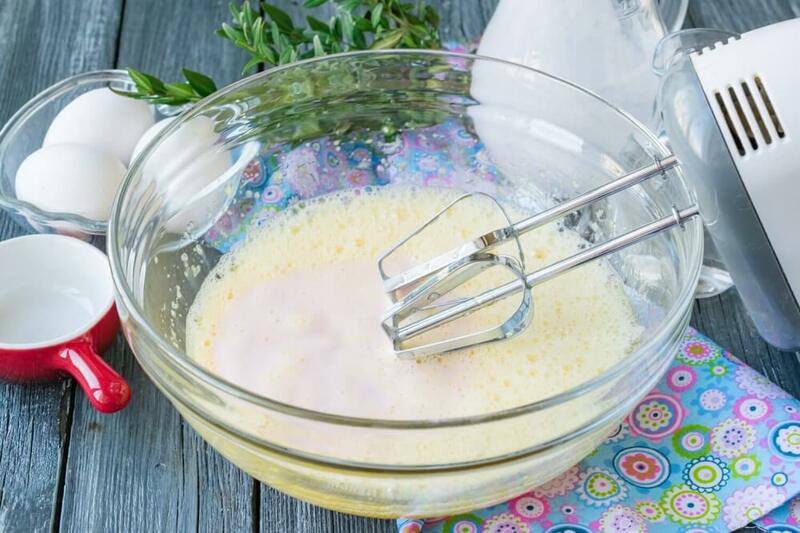 If your milk product is rather dense, add a little cold water to batter to achieve necessary consistence. 1. In deep ware combine 3 eggs, sugar, soda and salt. By means of the mixer we will whip the mixture for 10 minutes so it becomes light and puffy. 2. Then pour fruit yogurt in egg mixture. Mix ingredients to homogeneous consistence by means of the mixer. 3. 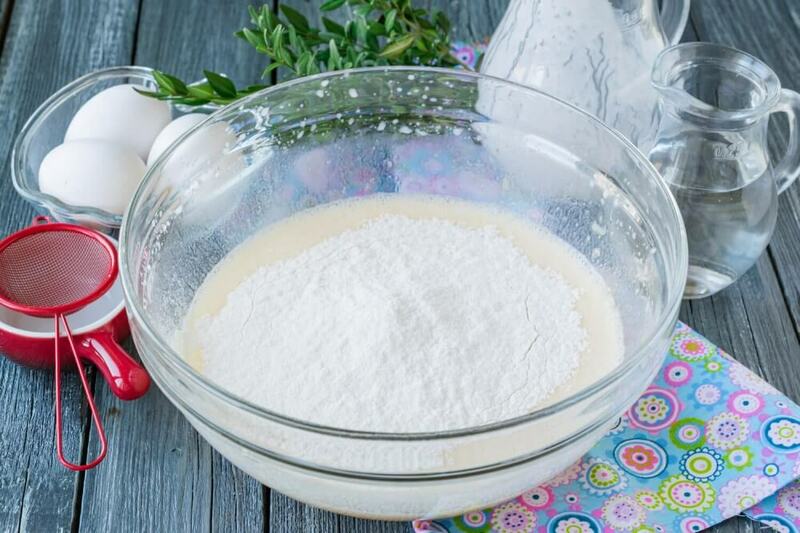 In several steps add the sifted wheat flour, every time mixing batter to homogeneous consistence. 4. 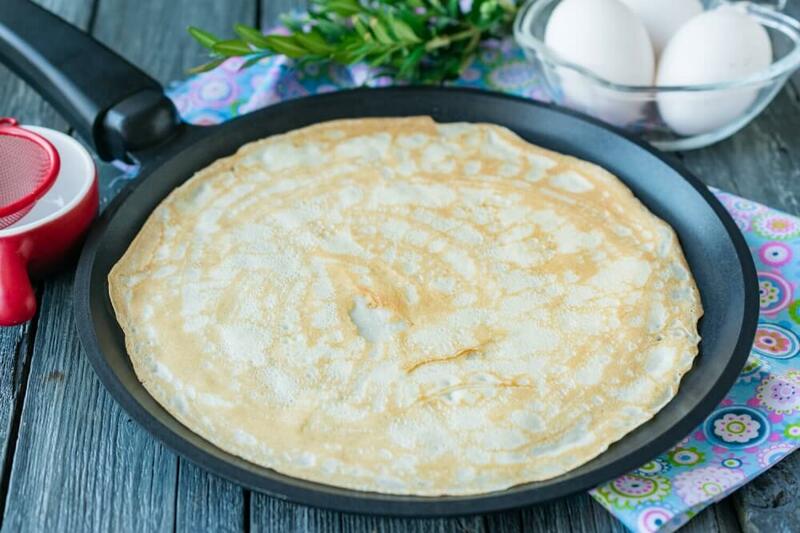 For pancakes to be elastic and do not stick to a frying pan during frying, add 2 tablespoons of the refined vegetable oil to batter. Check density of the batter if necessary pour a little cold water to make it more liquid. Carefully mixed batter, leave for 20 minutes so that it draws. 5. 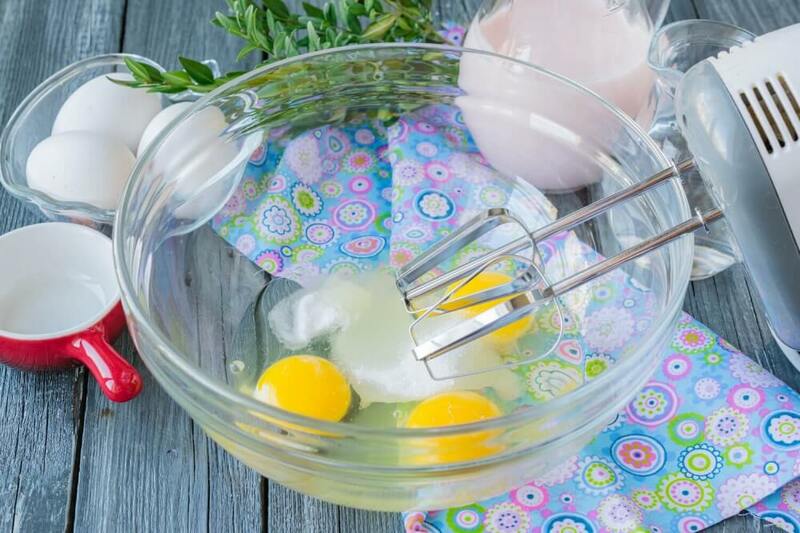 Heat a pancake frying pan and grease it with a small amount of vegetable oil by means of a silicone brush. Let's pour on the heated frying pan a small amount of batter. Rotating a frying pan with circular motions evenly distribute batter on all perimeter. 6. 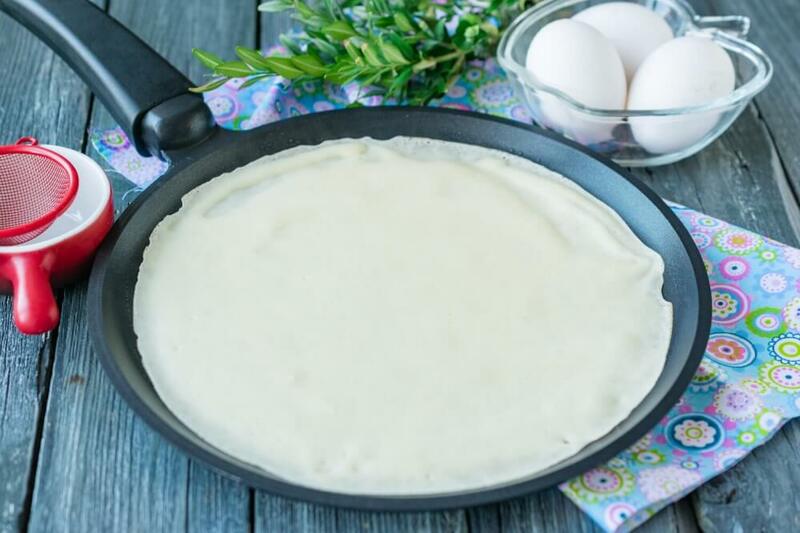 When pancake is reddened on the one side accurately turn it on the other side and bring to readiness. 7. Put ready-made products in a pile. At will each pancake can be greased with melted butter. 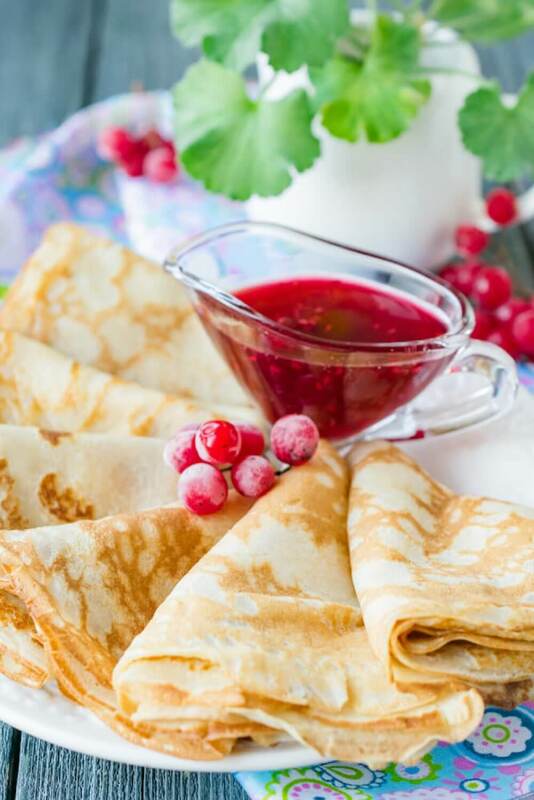 Serve ready-made products with favorite jam, honey, maple syrup, sour cream or chocolate.